← Blanket season starts with a Hudson’s Bay bang! 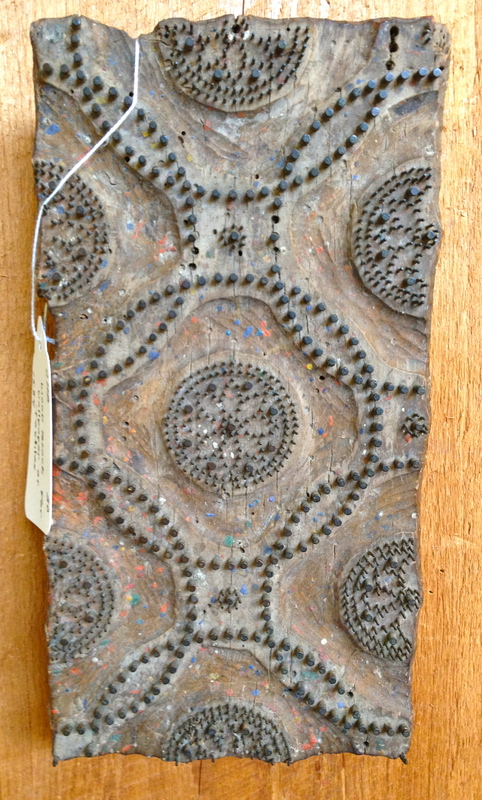 Here’s an amazing hand-carved wooden stamp for wallpaper or fabric. 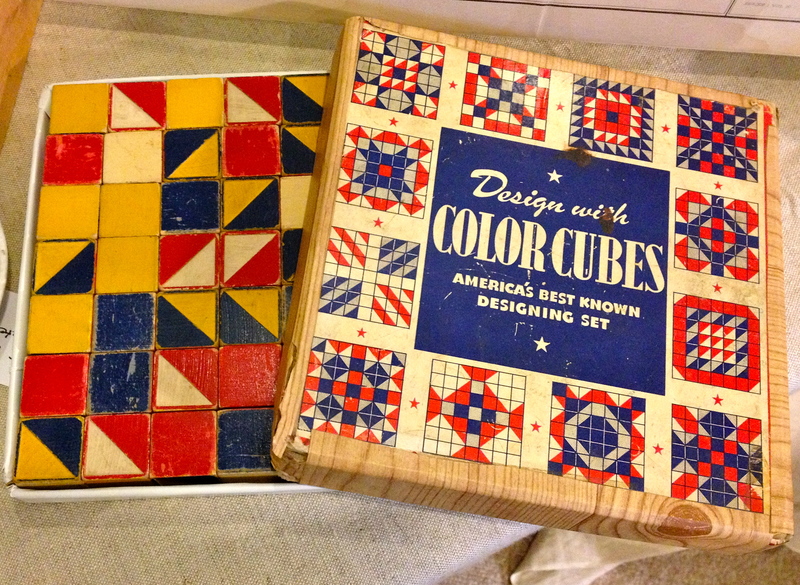 It’s very carefully designed to “tile” repeated impressions into one overall design of interlocking circles. 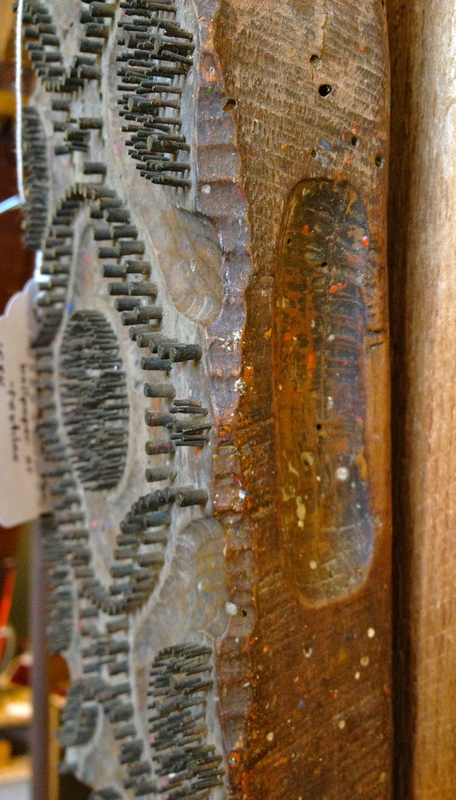 You can see spatters of primary-color paint on the wood! 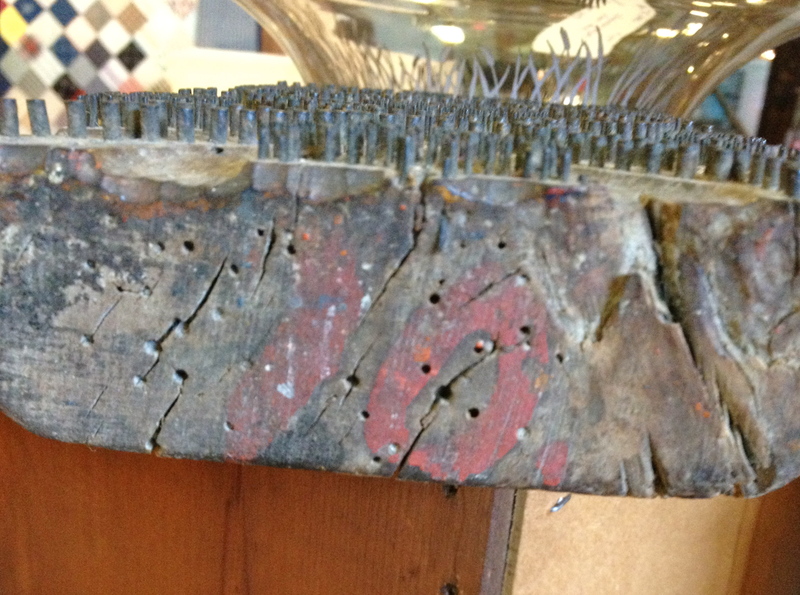 The protruding bits are not wood, but lengths of heavy wire. Getting all the pieces sunk to the same depth must have been a job! The empty holes show where some bits of wire have been lost. 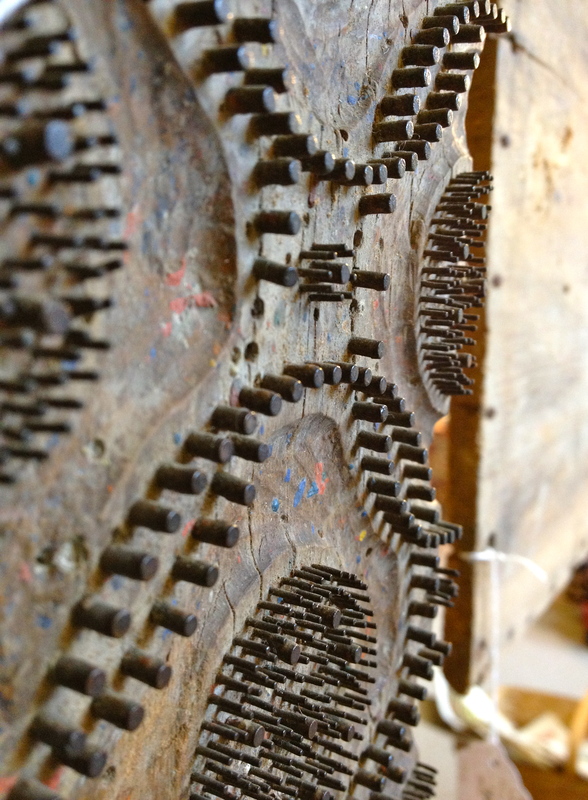 The sides have curved fingerholds carved in, so the user could get a good grip. One end has a painted number, presumably for the pattern. 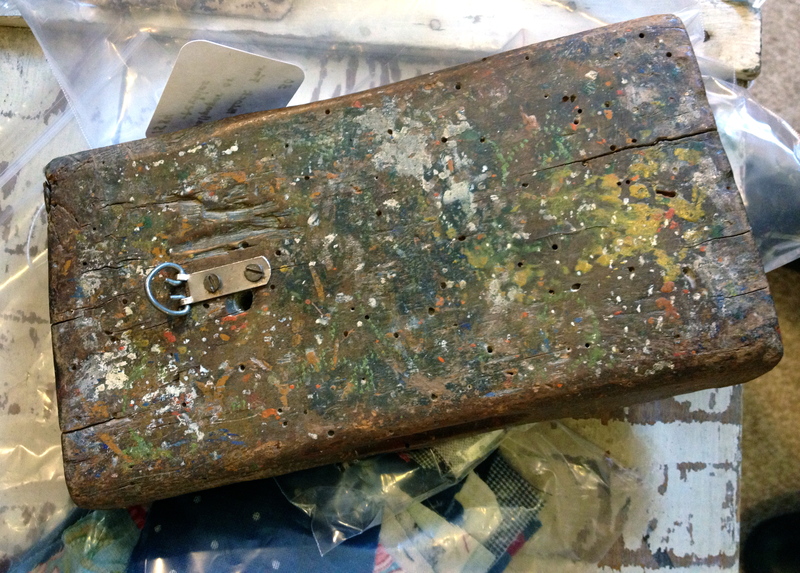 And the back is battered and spattered! With a modern picture hanger, too! 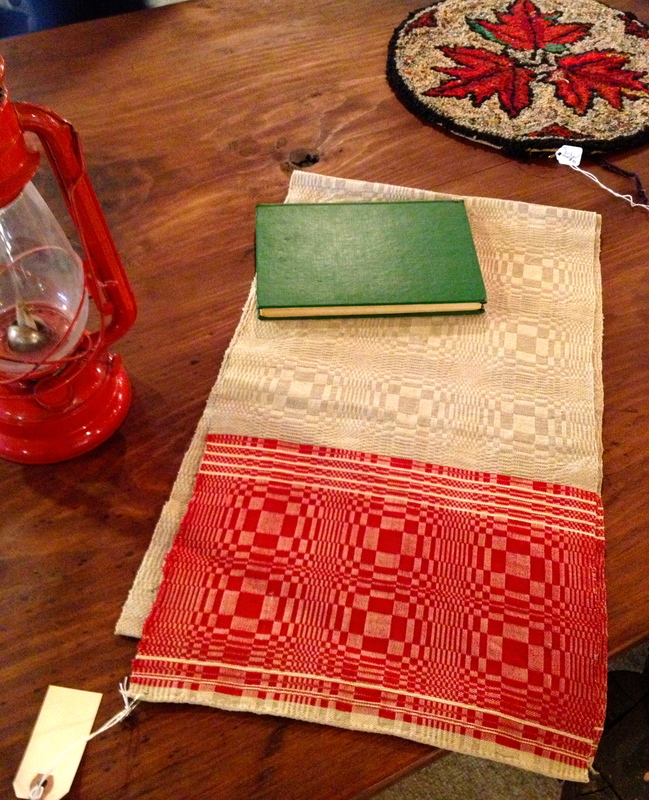 One more special thing: a gorgeous handwoven linen towel or runner in red and white. That is as lovely a piece of overshot as you’ll ever see. I just love how the dealer displayed it with a few simple things in red and green. The hooked mat of shaded red maple leaves is pretty nice, too!